Today, MotoringExposure published my article on watch accessories. 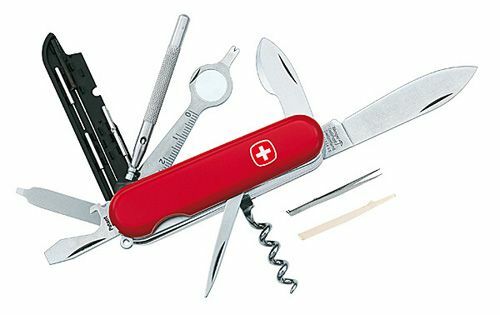 Now, I’ve covered watch straps, watch boxes and watch winders a number of times here, but I don’t think I’ve ever mentioned the Wenger Minathor Swiss pocket knife with Bergeon watch tools on board. The best of both worlds so to speak, since Wenger/Victorinox (now 1 company) is world’s leading manufacturer of pocket knives and Bergeon is the same for watchmaking tools. To be able to resize your bracelet, remove/replace a watch strap and to uncork a bottle of fine wine, you’ll need this Swiss pocket knife by Wenger. I have mine for years already and I find myself using it very often. You can order a Wenger Minathor on-line at TimeDesign, they are available in various designs and colors. Starting at 109,99 Euro. Click here for the article on “5 Must have accessories for every watch lover” over at MotoringExposure.